Christmas just isn’t Christmas without an annual viewing of Home Alone – and now, thanks to Google, the experience has been updated for the 21st century. 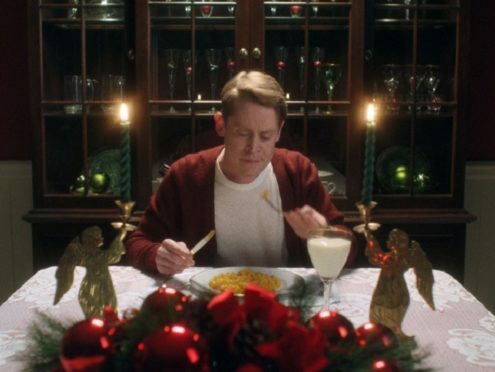 The technology giant has reimagined the 1990 John Hughes classic, Macaulay Culkin and all, for an advert for Google Assistant, the AI inside its mobile phones and smart speakers. In the ad, a grown-up Kevin is seen trying to find his mum and dad around his home, before his smart speaker reminds him he has the house to himself for the day. Culkin’s character then undertakes some familiar tasks from the film, including ordering takeaway pizza and bouncing on the bed – something that sets off the older Kevin’s dodgy back. There’s even a runout for the famous catchphrase “keep the change you filthy animals” and a cameo for the film’s antagonists, the Wet Bandits. But everything is made that little bit easier, of course, thanks to the presence of Google Assistant – it is an ad, after all. Fans absolutely loved the peek into what life was like for adult Kevin. The ad ties in with some new functionality for Google Assistant relating to the film. Following the prompt “Hey Google” with phrases including “How much do I owe you?”, “Did I forget something?” and “The Wet Bandits are here” will trigger some special Home Alone content.